Channing Yu brought his assembled orchestra, chorus and soloists together for an ambitious Saturday evening, tackling the sometimes inscrutable Mahler Second Symphony. Often at concerts of community orchestras in and out of Boston, one searches the personnel list for some of our splendid local ringers who are called in to “round out” the forces and smooth out certain treacherous moments. I searched in vain for even one of these professionals, who were collectively notable by their absence from this group. We are blessed in this city to have many devoted players, but how could this group essay something so demanding as the Mahler Second? Beautiful music making often has the effect of making even a long piece pass before we realize what we have heard, and in the best way, this performance felt that way. The first movement was handled with appropriate pacing and fiery contrast, drama, and intensity, together with an eye for line and forward thrust which balanced some of the lighter as well as richer moments of this paean of life and death. The outbursts of brass and percussion made eminent sense in the overall scheme of things, and especially climaxes were dealt with appropriately without fuss, but with immense impact. The usual pause of at least five minutes after the first movement (suggested by the composer) was observed, after which the lovely “Ländler” seemed to fit right into the emerging pattern of the symphony. Often, this second movement can seem out of place, and at the 1910 Paris performance, Mahler was mortified when Debussy, Pierne and Dukas all walked out of the performance during this movement. I looked back in the program to convince myself again that this was an “amateur” group, because much of the delicate string and woodwind voicings were so beautifully handled. The recap actually brought tears to my eyes: I was hooked. The fifth movement can often seem more to be a collection of motives from the preceding movements than an organic, focused entity, but everything made sense in this performance. The offstage brass did much more than simply stay on cue and with the beat: it felt as though heaven itself was calling us. Anne Harley’s clear soprano rang out beautifully, emerging from the chorus as a lovely bird appearing out of a tree, and Sarah Taylor again brought just the right feeling, so that the abandoning of pain and death was certain. The Dies Irae, heard so many times in this symphony, seemed gentler and more forgiving of all our frailties. Finally, the glorious Mahlerian yearning for joy and exultation emerged and led to the amazing conclusion of this symphony, this time with just the right pacing and exuberance. The chorus sounded strong and rich, especially considering the size of the group. The audience erupted with applause and a standing ovation, this time a truly deserved one. If this is amateur playing, bring it on! Channing Yu and his forces achieved a miracle in Sanders on Saturday evening, and the excellent crowd was given the great gift of listening to a group of players, singers and conductor who truly put the music first, therefore touching us in our deepest beings. Brian’s comments echo my own – as one who has sung Mahler 2 many times in Boston, New York and Tanglewood, (and sang it with Mercury on Saturday evening) , I have to say that as I approached it, i did so with some trepidation, but also knowing that Channing Yu is a superb musician, and could mold the players into an organized whole. I watched as the orchestra not only internalized the notes, but the direction that Mahler was moving. They understood on an intellectual and emotional level the overall scope of his resurrection motif and put meaning into a performance that was far more than the sum of the parts. The first rehearsal when Sarah Rose Taylor came in at her first entrance, I had a view of where this performance might go, and by concert evening, I was pretty sure this was something special. But every performance of any live work is different, and one never knows at what time lightning will strike. The manner in which these “amateurs” held the audience’s attention, and the depth of feeling communicated in this dynamic performance, was unique in my experience. Every conductor has a different take, a different lens that he or she alone sees the piece through, and the conductor tries to communicate that to the orchestra. The orchestra, in turn, attempts to respond to that vision in a way that is informed by their experience and the clarity of that vision. 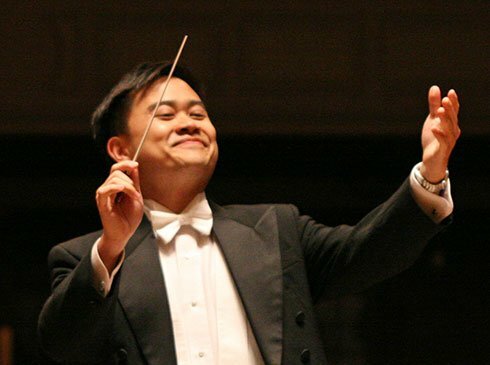 This particular orchestra had Channing Yu’s and Mahler’s visions both in sharp focus, and were able to leverage their considerable abilities to create a performance that was fluid and knowing, angry and yet at times tender, and at the end, awestruck and calling for us all to Bereite dich zu leben (prepare yourself to live). The word amateur does not convey the depth of performance, nor the talent encompassed in this group. But the descriptive adjective aside, this was at the very top of the most memorable, heartfelt, Mahler2 performances in my experience. All good to hear. However, when all is said and done, the ensemble are, in fact amateurs and not “amateurs”. I second Richard’s sentiments that this was a memorable and heartfelt performance. This was my third excursion into the Mahler 2, having previously performed it at Yale’s Woolsey Hall (including Newberry Memorial Organ made by Hutchings-Votey, expanded by Steere & Son, and later Skinner-Harrison) and San Francisco’s Davies Hall (including Rufatti organ); the lack of pipes in Sanders Theater was more than made-up-for by the resplendent playing of the Mercury percussion and brass. As the final chord faded away, the audience was suspended in silent rapture until a singular “Bravo!” broke the spell, following which the audience erupted into applause. I’m sure they felt close to Heaven then.